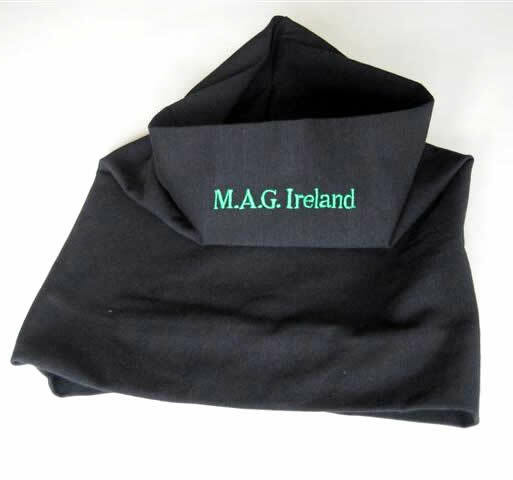 MAG Ireland has added a new item to our product range! 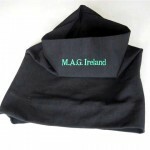 The “Necktector” is a quality soft stretchable neckwarmer with MAG Ireland wording embroidered in green. It’s available in your choice of Black, Red or Blue & is priced at €7.50 including standard postage for immediate delivery but stocks are limited, so as ever it’s first come, first served! As with all MAG Ireland products, the proceeds go towards promoting and protecting motorcycling in Ireland. Why not show your support for the work MAG Ireland does by purchasing a quality product from the MAG Shop?